Annie Adams seems to be in a pretty good place: her job as a travel writer sends her all over the world, she has an adorable dog, and she and her live-in boyfriend Nick have been together for five years. Everything seems to be going well – until Nick tells her that they need to have a break, that he might have feelings for a girl he grew up with. After a fair amount of time wallowing in self-pity over the break-up of what she thought was a very steady relationship, Annie puts on her most magical yellow dress, and heads out on the town for a drink and meets charming, thoughtful Griffin, a chef from Massachusetts in LA temporarily. By the end of their three month whirlwind romance, Griffin is proposing and Annie is moving with him to Massachusetts as his wife. Once there, however, she wonders if her marriage is simply a rebound, and if she really belongs in this new life. And, if not, does she still belong in her old life either? Annie Adams is an immediately relateable character. How often do we ignore the warning signs that our life is no longer what it used to be, surprised to suddenly find that everything has fallen apart? Annie’s life had been relying largely on inertia when Nick introduced his friction. How many of us, when faced with a life-wrenching change, have thrown ourselves immediately into something different, without immediate thought to whether or not it is right for us? And again, how many of us would eventually question that decision, based solely on the fact that it did come after such a drastic change? Is this real? Is it just a rebound? These are the questions that guide Annie’s life in The First Husband, and they do so in an incredibly realistic manner. Nick and Griffin were somewhat less fully fleshed out, but The First Husband takes place so much in Annie’s head, that this seemed like a reasonable choice: Annie is questioning how much she really knows either man, so why should the reader know them any better? Dave has succeeded in writing a book that is incredibly life-like and that readers can relate to whether or not they have ever been in the exact same situation. Recommended. 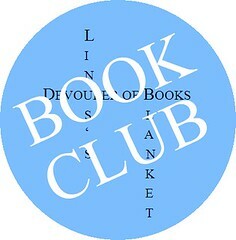 Laura Dave will be joining the SheKnows Book Club to discuss The First Husband on Thursday, July 14th. All are invited and welcome to participate on the SheKnows message boards. Thirty-seven philosophers, including greats such as Socrates, Plato, Kant, Locke, and Sartre, have their love lives chronicled in “Great Philosophers Who Failed at Love.” Their stories range from merely an excessive number of marriages and divorces, to legal adoption of one’s younger lover, to the accidental murder by strangling of one’s spouse. 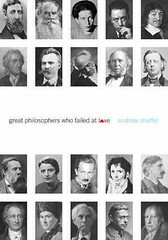 “Great Philosophers Who Failed at Love” was supremely well executed. Each philosopher has a chapter between two and four pages long, where their contributions to the world of philosophy, along with their scandalous love life, is chronicled. Shaffer walks at least two fine lines: providing the reader with enough information on each philosopher’s contributions that their inclusion makes sense, but not overwhelming the narrative with philosophical detail which not all readers may understand; and providing an informative narrative which is funny, but not to the point of being ridiculous. In both cases, Shaffer achieved exactly the right balance. A fascinating book. although I’m surprised that Shaffer’s wife didn’t turn around and leave when he mentioned on their honeymoon his proposed topic. 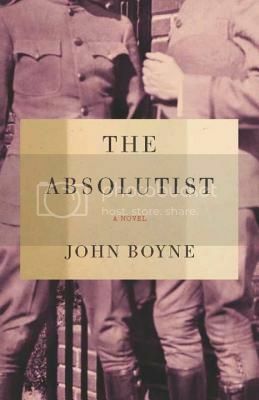 Highly recommended for those interested in philosophy, history, and human nature. 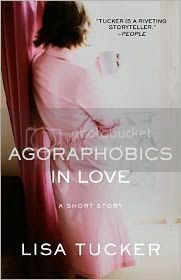 January 4th, 2011 | Tags: love, philsophy, Publisher: Harper Collins, relationships, review copy | Category: Misc.